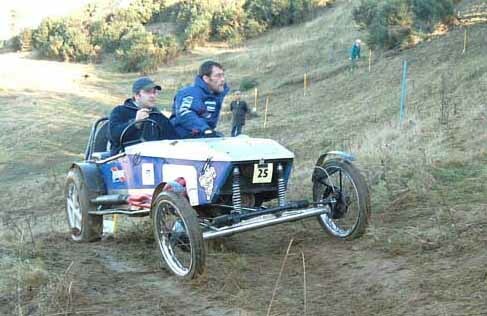 Sporting trials is the ultimate development of 2 wheel drive car trials and is unique as motor sports go. Like most trials, it's not about speed. The aim of a trial is to drive as far as you can over a laid out section without stopping. Each section is marked with poles to form a twisty route up a slippery hillside, sometimes sections will be so slippery that are unable to walk up it. To help each driver there is a passenger in the car who moves their weight around to get the best possible traction on each wheel. The further on a driver gets up a section the lower the score. The driver with the lowest score of the day is the winner. On average the cars use engines that give about 100hp and even though the cars have rearward weight bias and low tyre pressures, the cars always have an excess of power over grip, and so delicate use of the gas is essential. 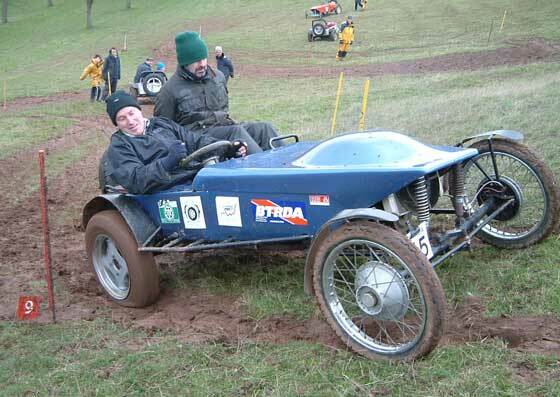 As the Sporting Trials season is in the winter the events take place on surfaces that are slippery, muddy and uneven therefore requiring just the right amount of gas - too much gas and the wheels will instantly spin and loose traction, although sometimes a full blast of gas combined with fifth gear will be needed and in another instance a full blast of gas followed immediately by a delicate touch will be required, this is called "trickling". The front wheels have an extreme steering lock enabling the car to turn in it's own length. 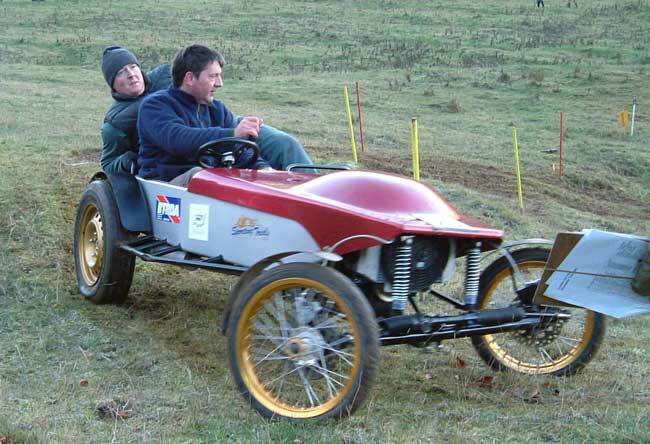 Having said that the car would not be able to turn effectively without "fiddle" brakes, this is something that is peculiar to a sporting trial car. These brakes are controlled by individual levers in the cockpit that are connected to the rear left and rear right. This enables a unique kind of skid steer. When used together the steering and brake combined will enable the car to turn in it's own length. These fiddle brakes are also used to transfer the torque between the driving wheels so the fiddle brakes provide a dual role, not only to steer the car but also used as a manual traction control on the driving wheels.